I’ve been seeing so many plays and not writing about them! Here are a few. Shitfaced Shakespeare: The Merchant of Venice @ Southbank Udderbelly: I was so looking forward to this that I got massively shitfaced myself ahead of time, at my friend Ken’s birthday drinks, at a wine bar in the City, where another friend Jo and I had to – had to, for a tenuous reason I don’t remember very well – buy wine by the bottle instead of the glass. Anyway, I knocked back a litre+ of rosé and lost to Ken at pool several times, then tottered over the river to the South Bank Udderbelly and bought a double rum and tonic (“YES, WITH TONIC“) for £7.40, and waved it in front of the Shitfaced Shakespeare MC, who is responsible for keeping the show relatively on the rails. He also hands out gongs to the audience to ring if we feel the drunk actor is sobering up. I got a gong! It’s something you might do in college, if you had a certain kind of drama department, except it was with some of the best actors in the world and more people watching than just a few very patient boyfriends. The Almeida Theatre read through all of the Iliad in a day in August (starting at 10am, finishing around 1am), after which artistic director Rupert Goold presumably turned to his actors and crew and said, “Well, that was quite good, shall we do another one?”, because last week they also did all of the Odyssey in a day, livestreaming the whole thing both times so people could follow along at home. The Iliad reading started at the British Museum, where a series of actors got up to read at a podium in the Great Court, and ended at the Almeida itself (in Islington, north London). It was fun clicking over to the livestream across the day, especially the energy pop every time a new reader took over and reminded that gosh, our actors are really good at acting! The main ones I remember are Tobias Menzies’ biceps exulting as Achilles taunted Hector; Hattie Morahan looking alarmed and tall as Odysseus tried to reason with the Greeks; and Adjoa Andoh letting her voice roll and luxuriate in Agamemnon’s persuasive list of gifts. Oh yeah, you kept going, this is why! 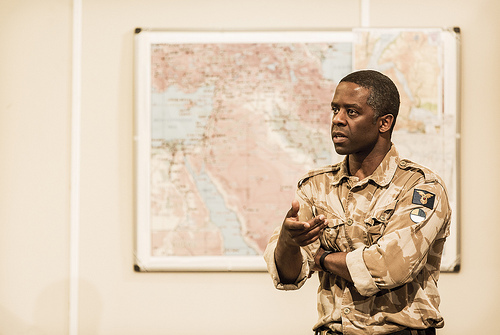 My first draft of a post about the National Theatre's 'Othello' just read "ADRIAN LESTER" with big doodly hearts around it, so I apologise if this second try goes off the rails later. The play was REALLY GOOD. 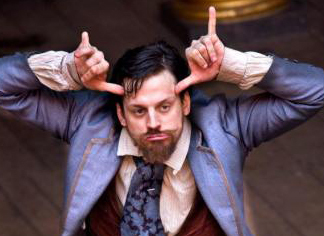 When I heard Deafinitely would be doing Shakespeare’s most language-focused play, I was intrigued. Love’s Labours Lost has long been a favourite comedy of mine – Rosaline and Berowne are a dry run for Beatrice and Benedick who nonetheless are slightly more grown-up than the more famous pair, and there are more than enough classical allusions and Latin jokes to keep a smug 17-year-old enrolled at a liberal arts college happy, as I was when I first encountered the play. Parts of it are very boring, and a lot of it doesn’t make sense, but Berowne is probably my favourite speaker in all Shakespeare and the ending is brilliant. “That was certainly the shortest Lear I’ve ever seen,” I overheard a patron say as I left the theatre on Friday. It was, and it was brilliant. All Lears should clock in at 80min (1hr35min with interval). Most of the cuts were around Lear, the Fool and Kent. The highlights were still there, but not the endless moaning on the heath. 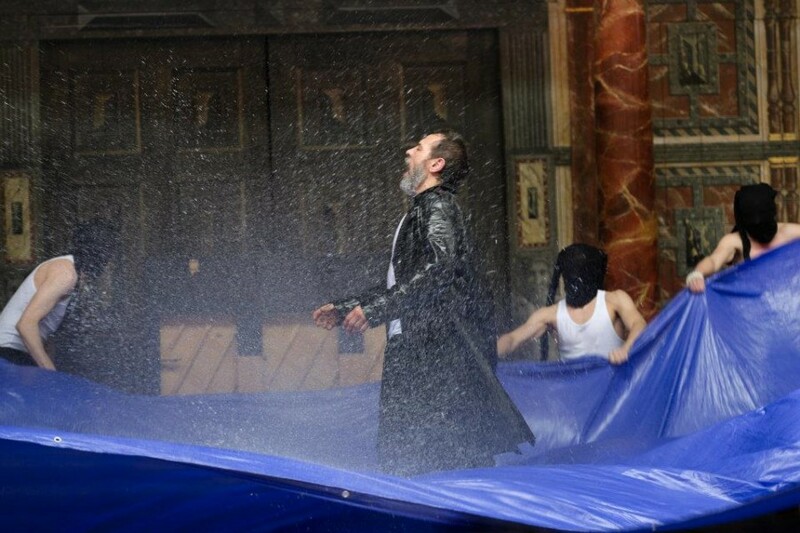 The storm scene was extremely effective: a blue tarp stretched on stage, held at the edges by the cast, who vigorously shook it to create a tempestous space for Lear to wander in; halfway through, someone dumped a bucket of water into it, which bounced off the tarp for the rest of the scene, splashing Lear again and again, genuinely disorienting him and soaking him through. The Fool played piano and wore very enviable yellow wellies. So, I’m a giant Shakespeare nerd – one of those ones who knows the plays so well it doesn’t matter what language they’re in. 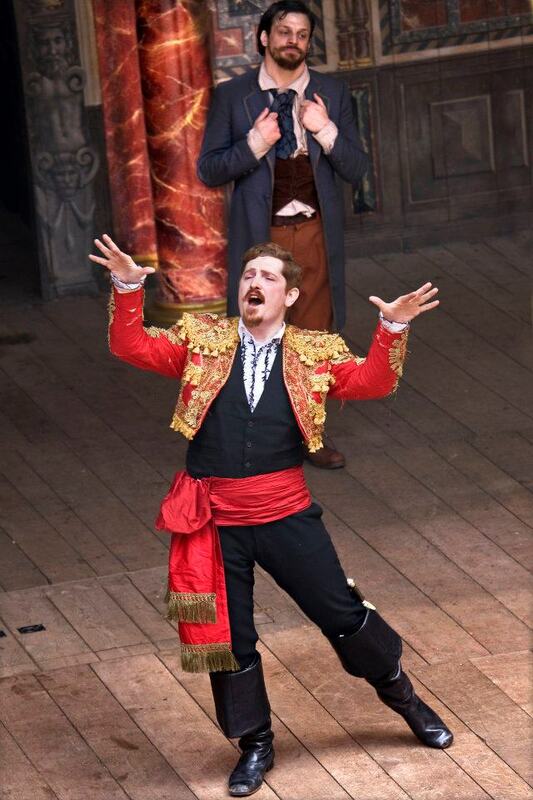 This is fortunate, because for the next two months, from April 23 to June 9, there’s a multilingual Shakespeare festival on at Shakespeare’s Globe! I don’t have tickets for all of them (aside from being on holiday for a week in the middle, my bank account is not so resilient), but I am looking forward to seeing a good many of them.